If you or someone you love is interested in applying for VA benefits like the Veterans Aid and Attendance Benefit, you will be required to provide specific documentation. Depending on your situation, sometimes the application process can be quite involved. But the experienced team at All Best Home Care is here to help you every step of the way. We’re happy to answer any questions that you might have about applying for VA benefits. And we’re here to help you every step of the way through the application process to make it as easy for you and your loved ones as possible. In order to qualify for the Veterans Aid and Attendance Benefit, you will need to provide the following information during the application process. Discharge/separation papers (DD-214). If you need to request military records, please visit www.vetrecs.archives.gov and find a copy of your records. Copy of Marriage Certificate. 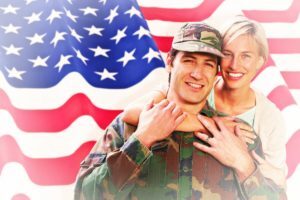 This is required if you are a surviving spouse, or if you are a veteran and both you and your spouse are applying for VA benefits. Copy of current Social Security Award letter. This is the letter that the Social Security Administration sends to you at the beginning of the year. It states what your monthly amount will be for the following year. Net worth information. This includes bank accounts, CDs, trusts, stocks, bonds, annuities, and all other applicable net worth information. Proof of all income. This includes income from pensions, retirement, interest income from investments, annuities, etc. Insurance and medical information. Proof of insurance premiums, medications, medical bills and any other medical expenses that are not reimbursed by insurance or Medicare. Statement from your physician. In order to qualify, your physician needs to establish that you require assistance with activities of daily living. This statement should include: current diagnosis, medical status, prognosis, name and address, ability to care for self, etc. If you are in a nursing home, you can use the Nursing Home Status Form as certification of this status. Banking information for direct deposit of monthly payments, and include a voided check. Doctor/Hospital information. You will also need to provide a list of all doctors and hospitals you have visited in the last year. If you are a veteran or a spouse of a veteran interested in senior home care services in Kentucky, contact All Best Home Care for information. We can help you apply for and receive the Aid and Attendance Benefit. We can be easily reached by email, or you can give us a call at 502-456-2273. Helping Veterans and their spouses apply for and receive VA benefits including Aid and Attendance.